12:04 p.m., Oct. 30, 2015--John Stephens (Steve) Crawford, professor emeritus of art history at the University of Delaware, passed away on Oct. 9 after a short battle with cancer. He was 72. As a professor at UD, Dr. Crawford taught a wide range of classes in art history over a 31-year career. He was awarded the prestigious University of Delaware Excellence In Teaching Award and served as acting dean during his tenure. He was also chairperson of the Delaware Humanities Forum in 1987. He retired from UD in 2000. Prof. Crawford’s published works include descriptions and details of his prehistoric, Roman and Byzantine archeological finds at Sardis. His other writings explored the relationship between classical and American sculpture and architecture. He also had a great interest in music and contemporary art and, in his writings, he explored the paintings of Julio da Cunha and David Hornung. Along with his students, Prof. Crawford researched the works of ancient art bequeathed to UD by George M. A. Hanfmann of Harvard University. 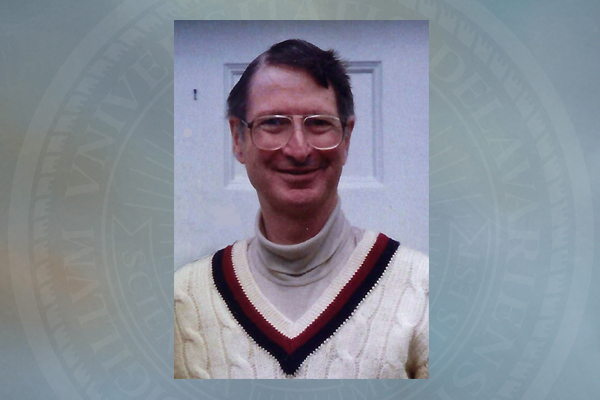 Prof. Crawford loved teaching and his students. For decades he was the academic adviser for all his department’s undergraduate students. He sponsored four Honors Program Undergraduate Research Fellows and for many years contributed to UD's Silver Award for Graduate students. After his retirement, Prof. Crawford and his wife, Helen, enrolled in many courses offered at the University and were always seen on campus together. Born in Evanston, Illinois, on July 3, 1943, he was raised along with his two brothers in Northbrook, Illinois, and East Lansing, Michigan. His interests in early European history and art were fostered by two extensive trips to Europe in 1960 and 1965 with his family. He received his bachelor’s degree in classical studies from Michigan State University in 1965 and his master’s and doctoral degrees in classical archeology from Harvard University, in 1966 and 1969, respectively. As a classical archeologist, he was trained in Minoan, Mycenaean, Greek, Roman and Byzantine history and art. He was a member of the Harvard/Princeton archeological team that excavated the important ancient sites of Aphrodisias and Sardis in western Turkey. He is survived by his wife, Helen, his brothers Paul and James, Paul’s wife Carol and daughter Michelle, Helen’s niece Katina Leodas and son Nico and niece Avra Leodas, her husband John Tinker and daughter Melina Leodas-Whelan. At his request, no services are to be held but a celebration of his life is being planned for the future. Charitable contributions can be made to the Southern Poverty Law Center, which works to teach tolerance throughout the United States, or a charity of one's choice.